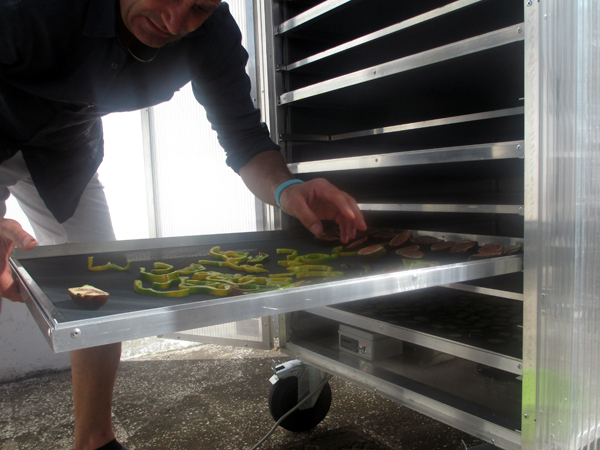 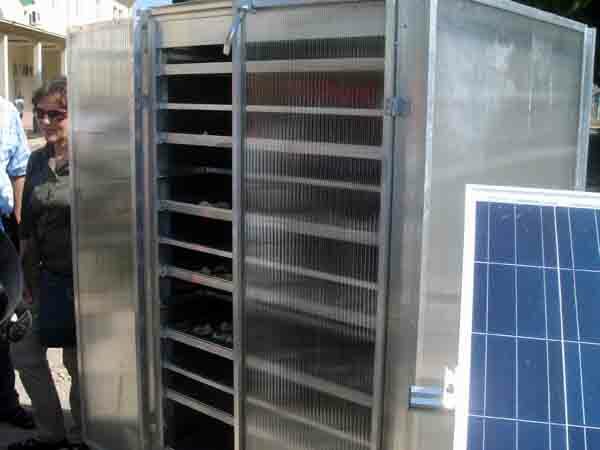 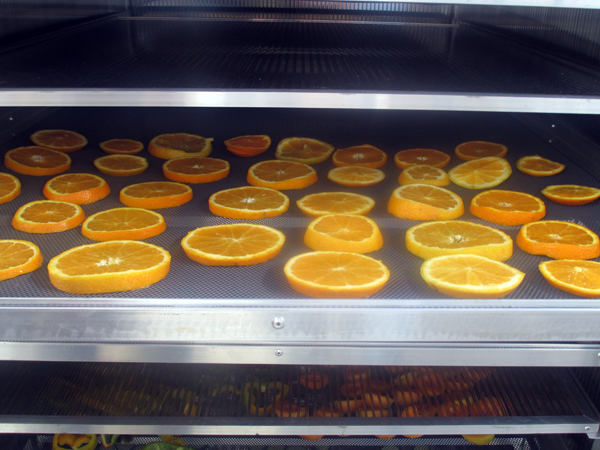 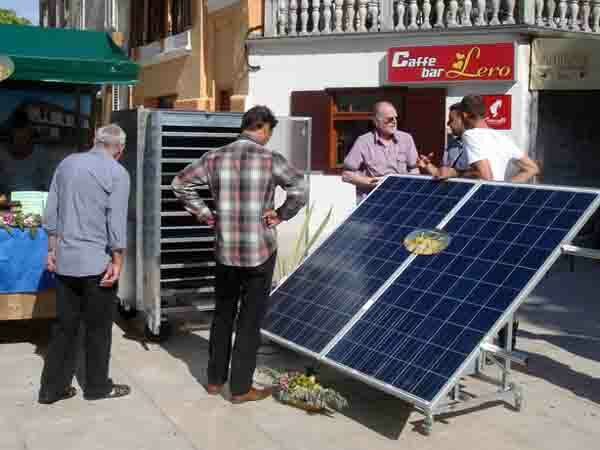 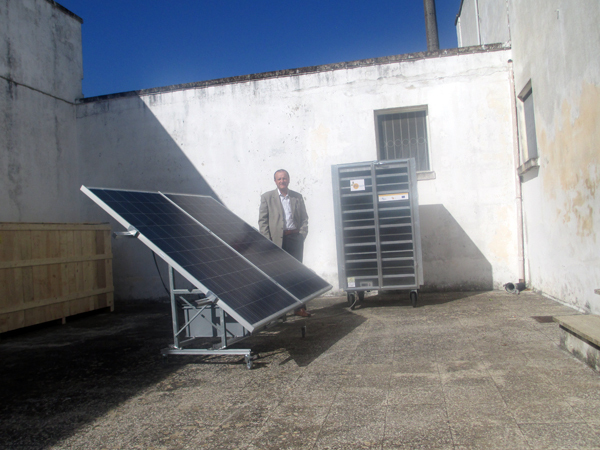 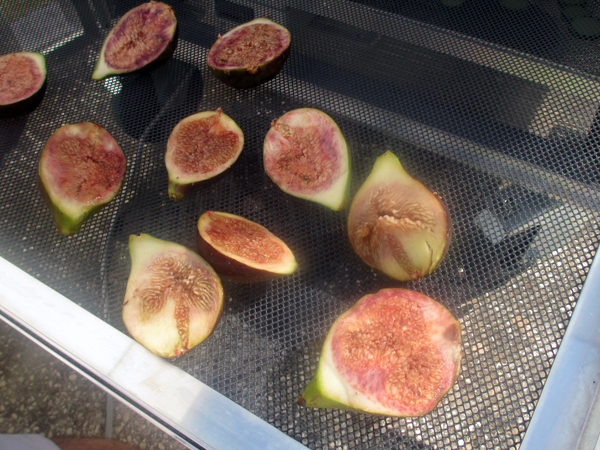 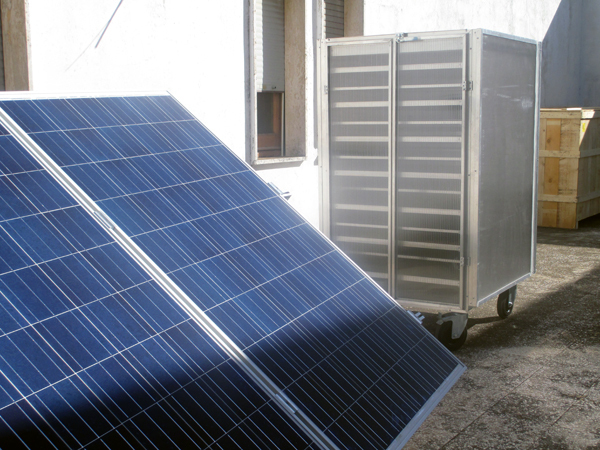 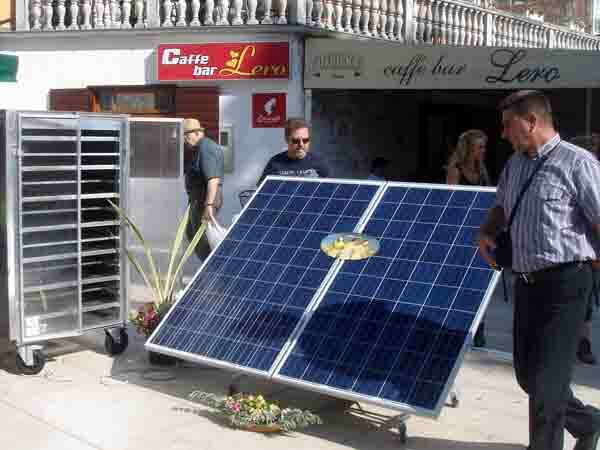 A solar device for drying fruits, vegetables, herbs, fish and meat allows to set up immediately a clean, safe, complete and simple to use drying processing space. 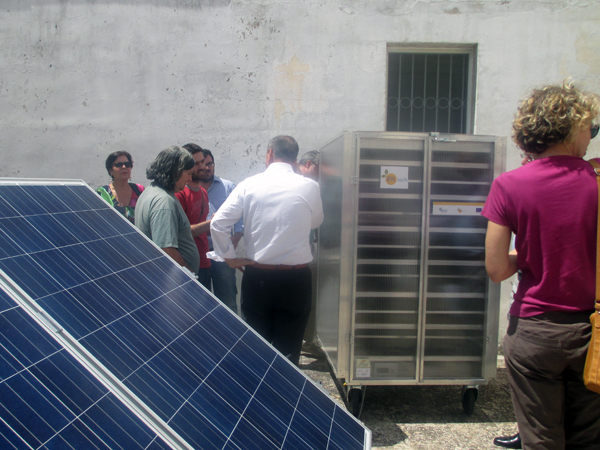 It introduces a new sun drying concept; its ability to operate even under low level of sun radiation, maintaining good product drying capabilities, makes this a unique device.Inside, complex physics take place; compressions and expansions reduce relative humidity while warming the drying room through the sun. 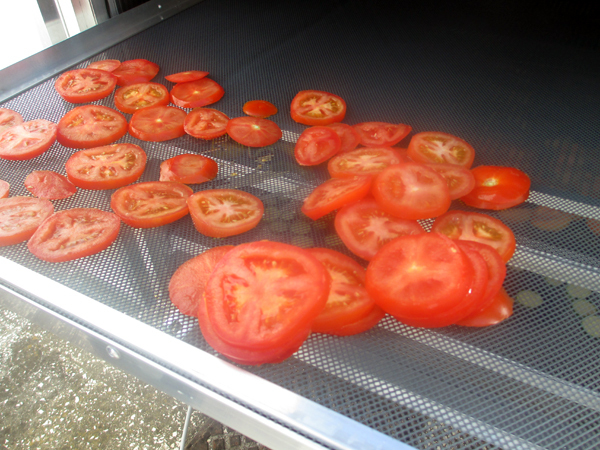 A natural and soft drying process takes place with best results in terms of quality. 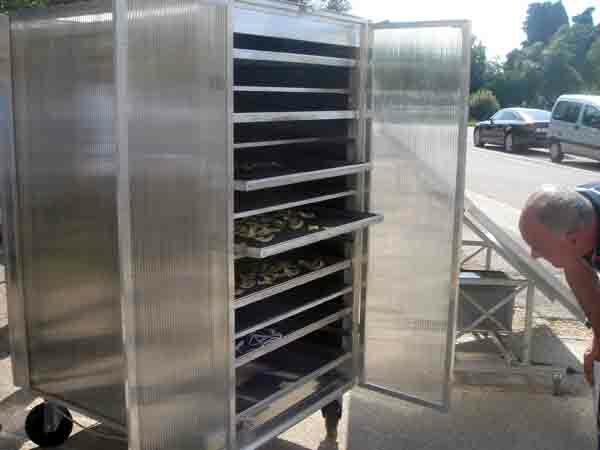 The big load capacity and the limited space on the ground make it an important device to get the best product process close to the cultivated field. 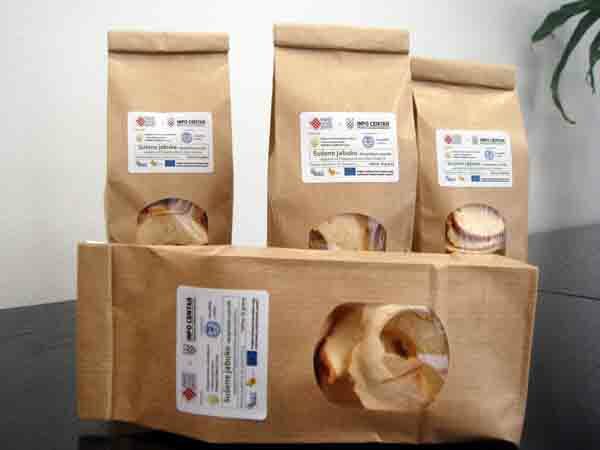 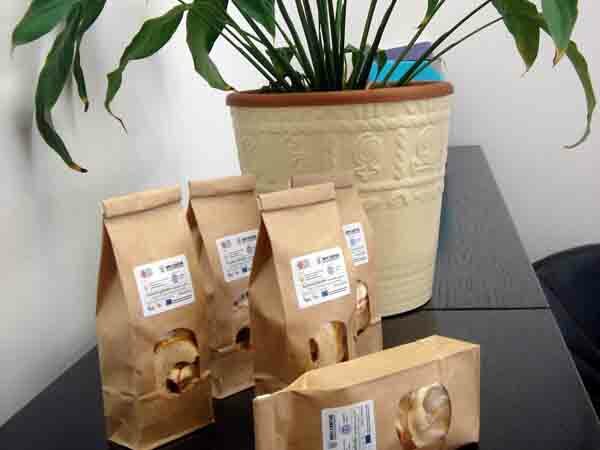 The products can be processed quickly and immediately, improving overall quality, avoiding the risk of bad fermentations or moulds caused by long harvest storage before processing; saving transport loans and obtaining ready to package products. 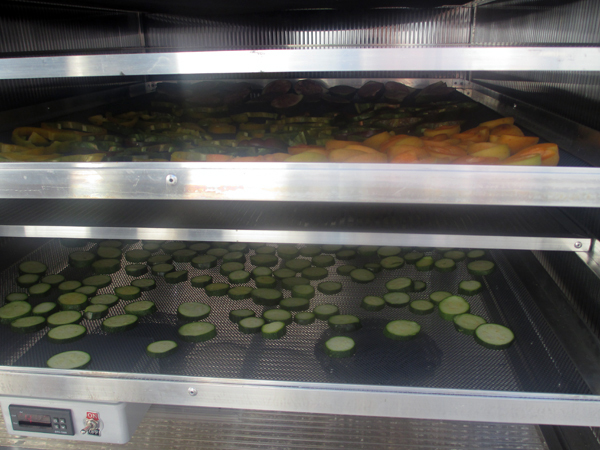 The drying process is made under electronic controlled air flow, shielded from UV radiation; it is thus possible to get peculiar products that keep original colors, fragrances and flavours. 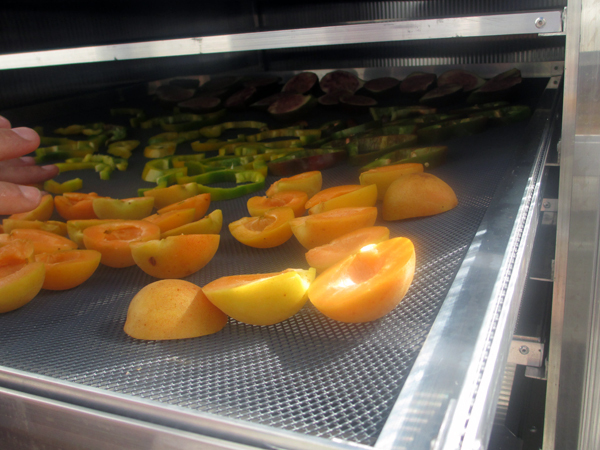 The variable configuration drying chamber allows for processing different products, requiring different drying times, to get the best results for every product type. 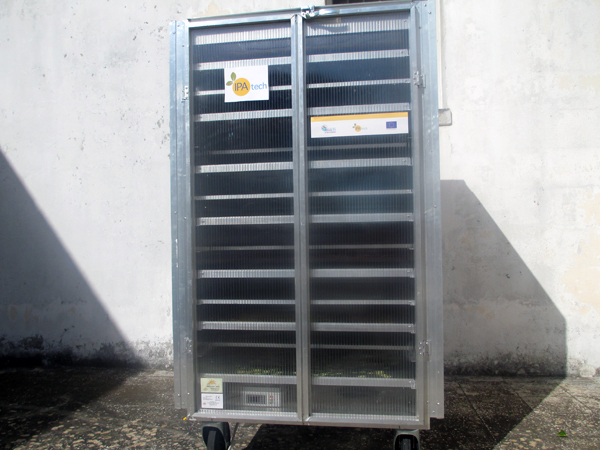 The electronic temperature control grants a high quality standard, protecting products features from unwanted and dangerous overheatings. 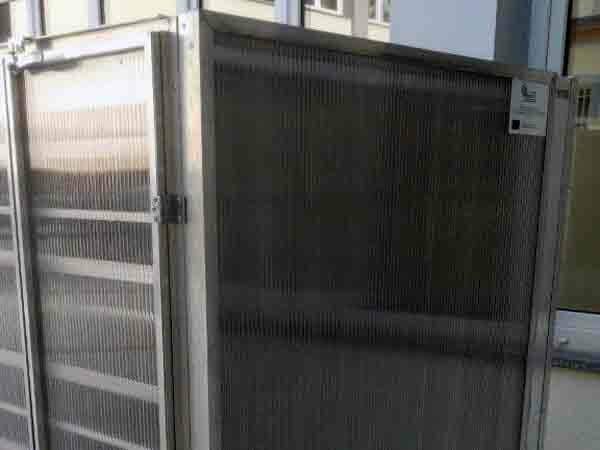 The dryer uses sun energy to warm air needed for the drying process; it needs a good sun exposure, however the internal configuration is designed to perform good drying processes even at low sun exposure levels; the drying process can somehow take place even in the night. 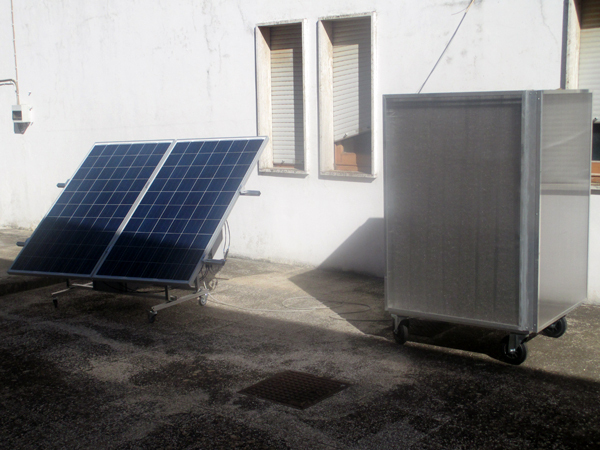 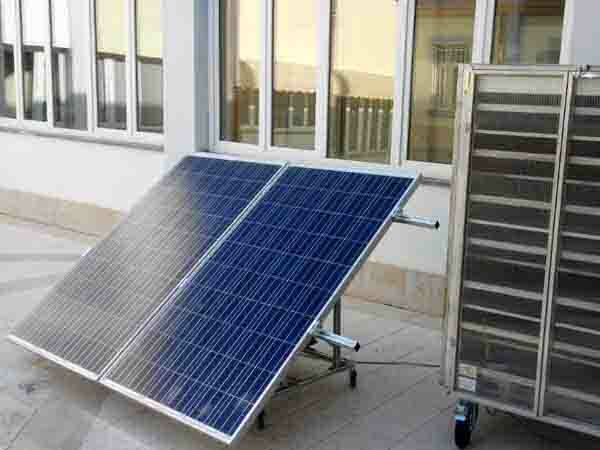 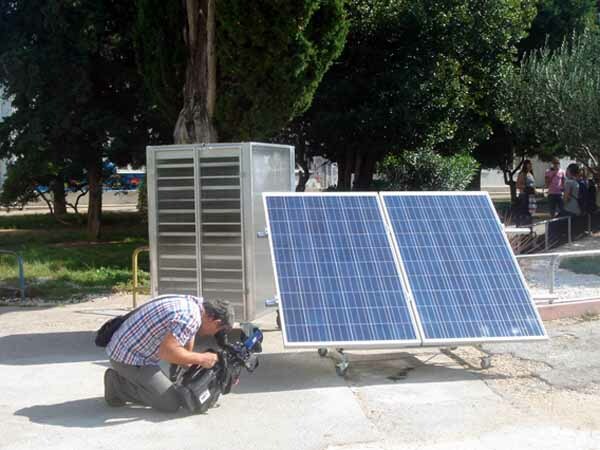 2. photovoltaic kit, including a battery for night work (solar panels are of 220W, working temperature is -20 / + 60 degrees Celsius).